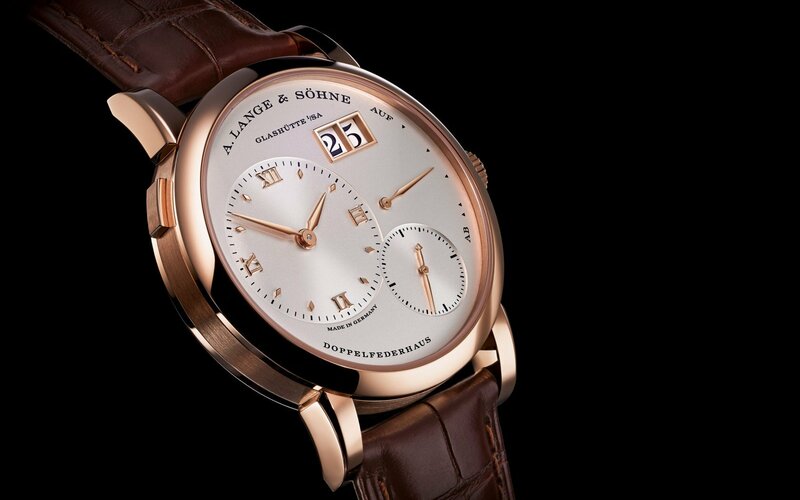 The LANGE 1 was first presented in 1994. Sixteen years later, the LANGE 1 DAYMATIC joined the watch family. In 2015, its predecessor was endowed with a manually wound calibre but its inimitable design remained the same. This year, both timepieces emerge again in all their might. Mirror images of one another with subtle deviations here and there, the LANGE 1 and LANGE 1 DAYMATIC might mislead you into thinking they’re the same watch. Do not be duped. 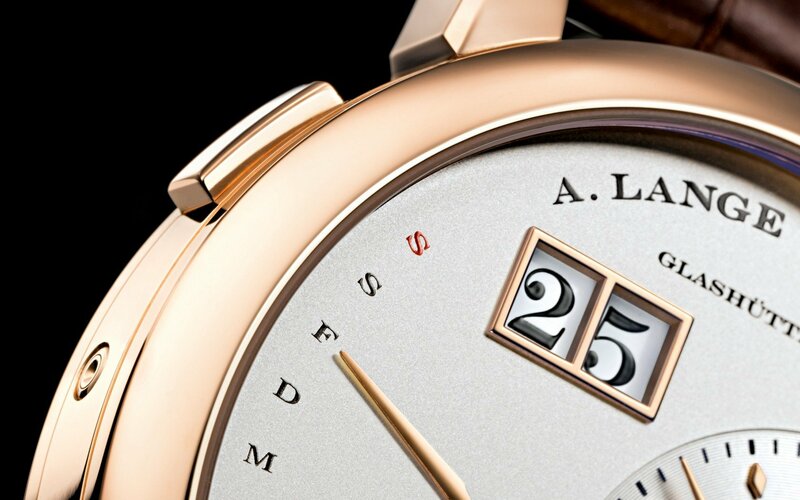 A. Lange & Söhne’s mastery resides in creating two different timepiece concepts, harbored in two seemingly similar timepieces! The LANGE 1 is endowed with a manually wound movement appealing mainly to purists who have taken to the habit of regular winding, while the LANGE 1 DAYMATIC is self-winding, a subliminal occurrence, is what pragmatists seeking convenience prefer. 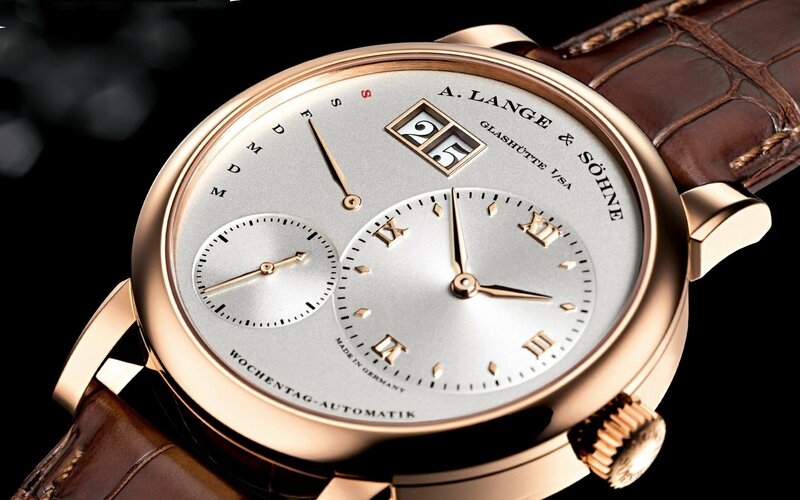 In addition, the outsize date of the LANGE 1 DAYMATIC was complemented with a retrograde day-of-week display. Right after midnight, its hand moves up by one increment, and it jumps to the bottom again at the transition from Sunday to Monday, restarting its day-by-day progression to the top of the scale. Despite differences in their mechanisms, both models are joined by the poise and grace of their off-centre dials’ harmonious architecture. The centre of the outsize date and the hand arbors of both the power-reserve indicator and the day-of-week display as well as the small seconds hand arbor are arranged along a vertical line. This is the baseline of an isosceles triangle whose tip coincides with the centre of the main dial. The New A. Lange & Söhne Saxonia: Oh So Thin! Next Post Ending 2016 With The Ultimate Mr. Ping Life Cigar World Tour!